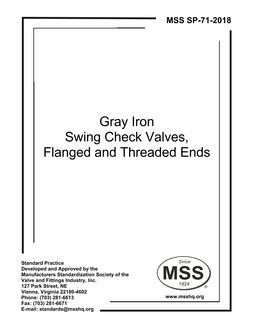 This Standard Practice covers gray iron globe and angle valves with flanged and threaded ends. These valves are suitable within the sizes and pressure-temperature ratings specified herein for general purpose service. This Standard Practice also includes, directly or by reference, stipulations or chemical and physical properties of materials, and dimensions of end connections in common use.